Now that we have some video in our timeline, let’s talk about rearranging the clips, as that is what’s going to help you get your job done the fastest in Adobe Premiere Pro CC. 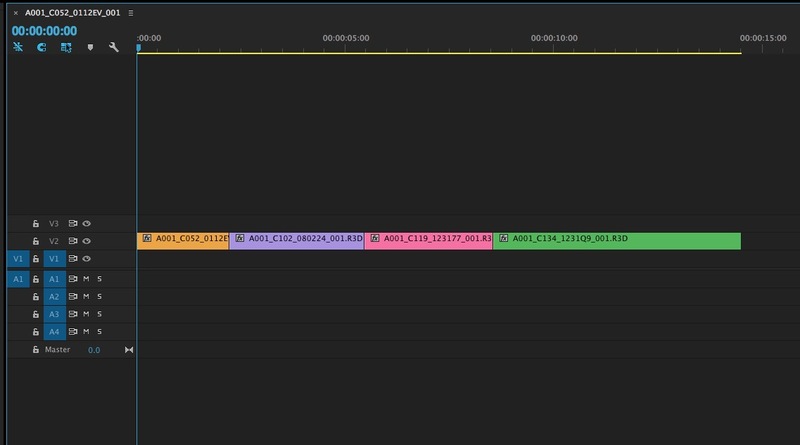 In our example, we have four clips in our timeline (I’ve given them different colors to keep everything simple), and in most cases you will be doing one of two types of clip movement. Insert or Overwrite. Let’s talk about Insert first. 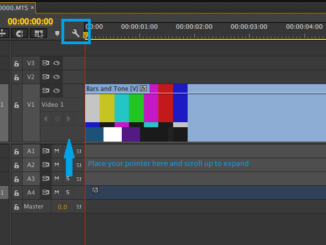 Much like Insert editing, an Insert clip movement will move a clip up or down your timeline, and when you decide where you want it to go, you can simply drop it down, and all the other clips will be pushed down the timeline, to make room for the clip that is being moved. Keep in mind that only the clips that come before or after (depending on the direction you’re moving your clip) the one you’re moving, will be altered. To perform an “Insert” segment movement, simply hold CMD+OPT (CTL+ALT), and you can now perform an insert move to reposition the clip, and adjust the surrounding clips accordingly. 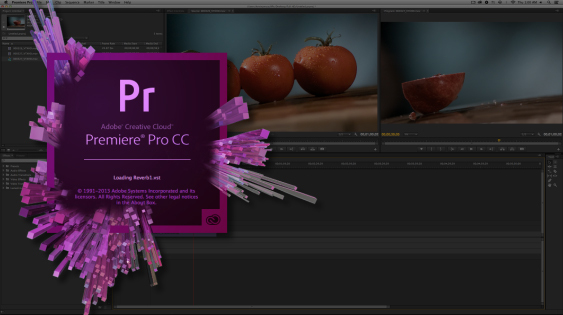 Now, to perform an Overwrite segment move, you can simply just drag and drop a clip to a new location, and Premiere will overwrite whatever was in the timeline, and replace it with the moved shot. Now to wrap things up, and just for fun, if you hold just OPT (ALT) on the keyboard, you are actually making a copy of the selected clip, to drag, drop and duplicate onto another section of the timeline.